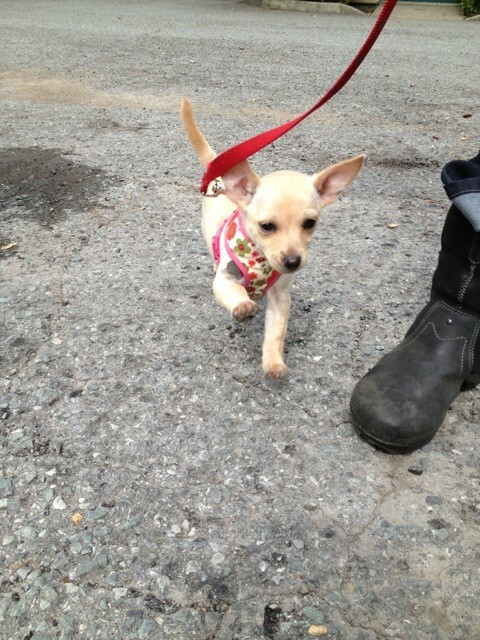 Meet Rita….that is one happy walk! George Carlin says that trying to be happy by accumulating things is like trying to conquer hunger by taping sandwiches all over your body. Love that quote. Of course it’s full of truth that I sometimes neglect when walking by the shoe department. There is an actual psychology of happiness and doctors who have been studying it for years. Dr. Marty Seligman is the founder of ‘positive psychology’ and the director of the Positive Psychology Center at the University of Pennsylvania. Dr. Seligman finds that there are three types of happy lives: the pleasant life, the life of engagement, and the meaningful life. The pleasant life is one filled with the pursuit of pleasure and is the least fulfilling. HuffPost put together the following list to aid us in living a life of engagement and meaning. It’s a long list, but I figure if we take these things one at a time and see how they feel it’s doable. Cultivate a happy thought and smile about it. Develop resilience. Get up when you fall down. Be mindful of the good. Devote some time to giving to others. Let yourself lose track of time. Nix the small talk in favor of deeper conversation whenever you can. Make a point to listen, really listen. Look on the bright side. Find the silver lining. Find a spiritual connection, a place within something bigger. Walk with your head up and your arms swinging. Tomorrow I’ll find some info on habits of smart people. Then we can compare and contrast and see if rich, smart and happy have much in common. Have a happy Wednesday!